Times flies, it certainly has been quite a few years since you graduated from Sydney Institute of Interpreting and Translating (SIIT). I believe that you have had a very nice and exciting leaning experience at SIIT, though it could have been a bit daunting, to a certain extent, when it came to relevant NAATI Accreditation examinations. I believe that you can still remember your trainer(s), your classmates, there could have been certain touching moments at SIIT that you still cherish. 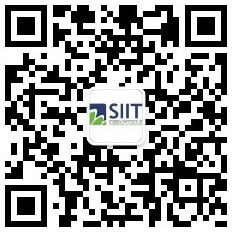 I believe that the knowledge and skills that you have built at SIIT have assisted you in your career development. I believe that it is our destiny that SIIT and you have shared a memorable learning journey together. Some memories might fade with time, but many will not as SIIT still remembers you and will always do. SIIT celebrate its 10-year anniversary in 2019, and SIIT will invite you to attend its Alumni Meeting in May 2019 where you will have the chance to meet thousands of your alumni, sharing a few drinks, your lives, your stories and so on. I am writing to ask you kindly complete the attached Survey Form and return to SIIT on alumni@siit.nsw.edu.au. We miss you and we do look forward to seeing you at the upcoming alumni gathering during SIIT’s 10-year anniversary. For more information regarding this SIIT 10 Year Anniversary Alumni and Gathering, please visit SIIT Alumni page, or contactalumni@siit.nsw.edu.au.